Line a square 8×8 or 9×9 baking pan with parchment paper or give it a coating of baking spray. Melt the butter on the stove top in a sauce pan or in the microwave. Whisk in sugar and cocoa powder, and then stir in vanilla extract. In a medium mixing bowl, whisk the eggs well, and then whisk in the chocolate mixture until well combined. Stir the flour into the chocolate mixture until just combined. Pour the batter into the prepared pan. 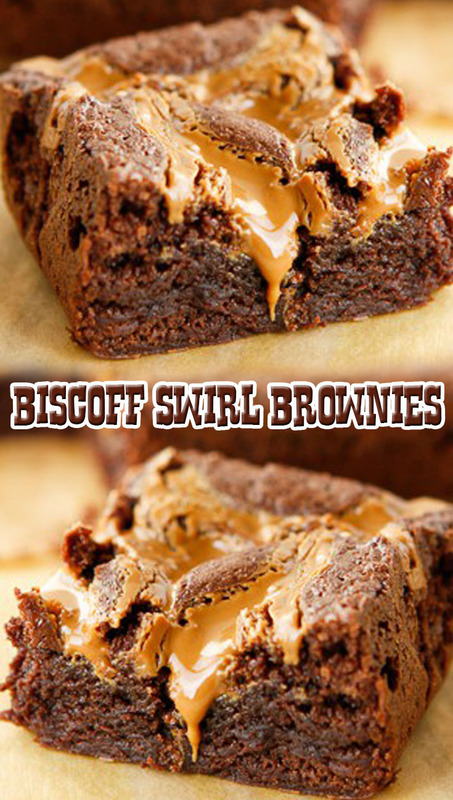 Melt Biscoff Spread in the microwave and drizzle over the top of the brownie batter. Use a clean butter knife to swirl the Biscoff Spread into the batter. Bake at 350 degrees for 30-35 minutes. Cool on a wire cooling rack for at least 30 minutes before serving.